Designed for stability, durability and superior ball response, the Ball Hog Select series represents the peak of residential goal systems. The Ball Hog Ascent series is for those who demand the best – elite athletes, outdoor sports facilities and anyone else who puts a premium on quality and performance. Unique, frameless design with rounded edges for improved safety. 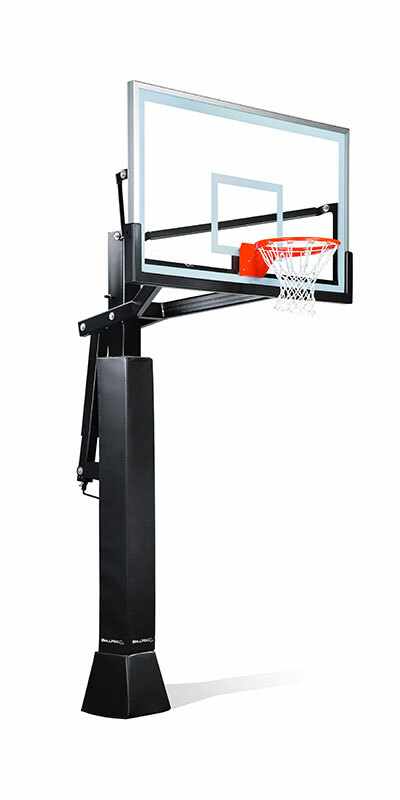 H-Frame style backboard arms engineered to provide stability and consistent ball response day in, day out. Internal Height Adjustment allows for fluid rim height adjustment from 6' to 10'. Heavy-duty, off-set 7-gauge steel posts in 4", 5" and 6" sizes. Designed to reduce vibration and goal shake. Innovative ground hinge anchor system with 1/2" anchor bolts for easy set up. No need for ladders or scaffolding. Industry leading structural-grade aluminum and reinforced steel brackets provide unmatched support and balance. ClearView design features engineered Y-shaped arms that provide an unobstructed view and superior stability. External Height Adjustment - Precise height adjustment from 6.5' to 10'. 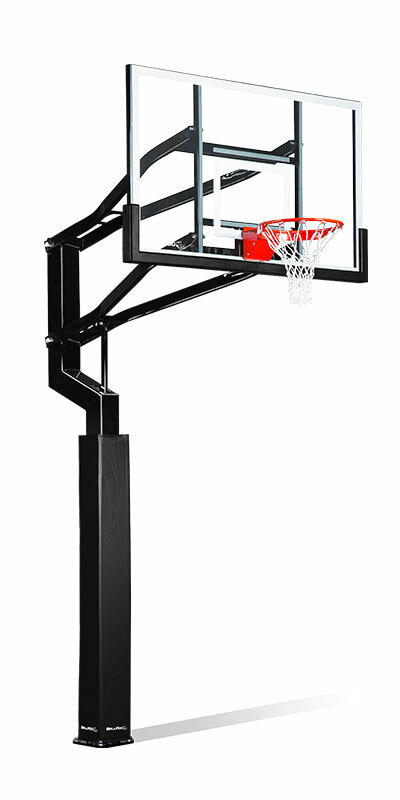 Heavy-duty, 7-gauge, 6" steel post provides the necessary stability and durability required for elite play. Upgraded 3/4" zinc plated bolts provide unmatched stability while allowing for simple and efficient relocation.